Aim and Shoot! 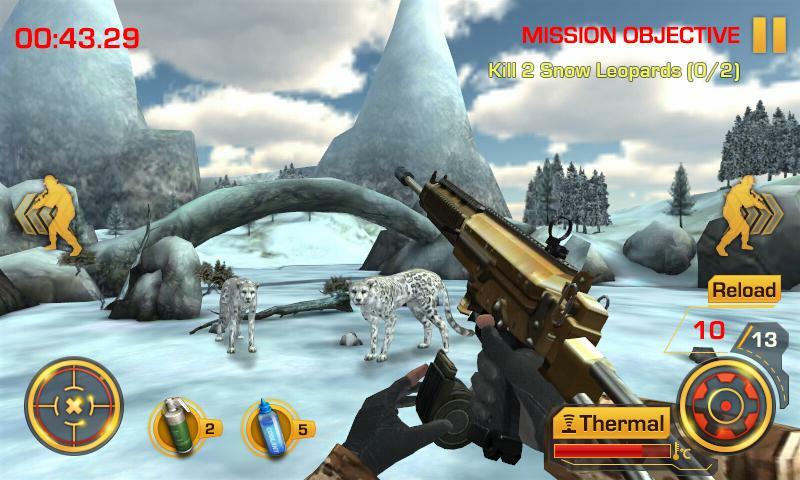 Wild Hunter offers you the unique game-play that you can hunt wild animals not only on foot but also on a fast moving vehicle! 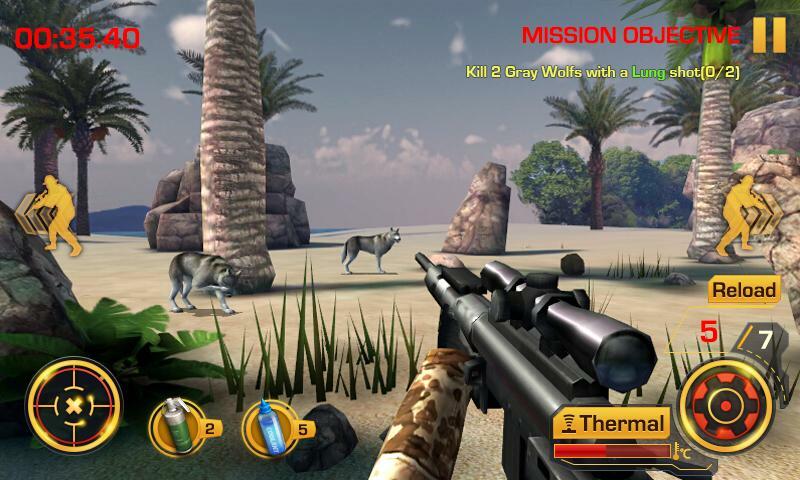 Wild Hunter lets you hunt the biggest and most dangerous animals in the world. 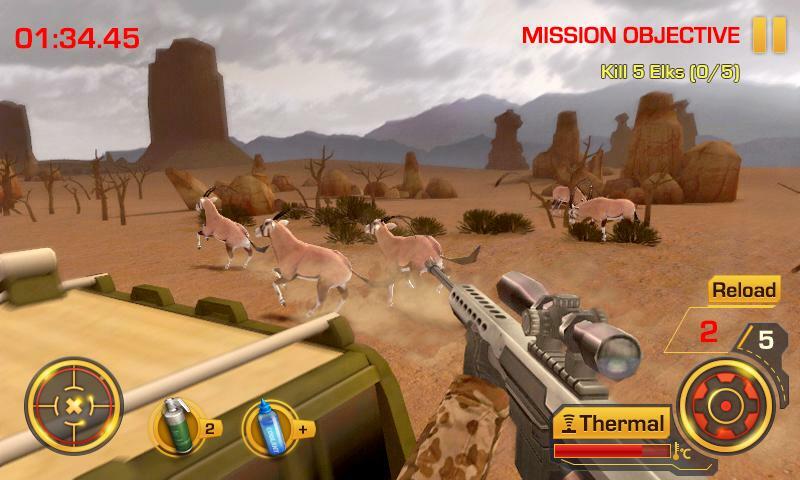 With access to powerful guns you will rely on your marksman skills to kill and trap animals including Zebras, Bears, Cheetahs, Elephants, Lions and even dinosaurs escaped from parks. Moreover, chasing your targets on a moving truck makes the game even more challenging. Do you have what it takes to become a hunting legend?